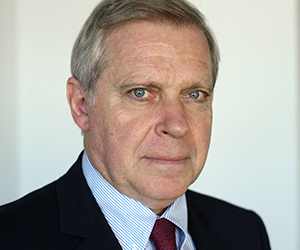 For our recurring Q&A series, we spoke with Patrick Moulette, Head of the Anti-Corruption Division at the OECD (Organisation for Economic Cooperation and Development). He shares how the legislative landscape has changed since countries signed the OECD AntiBribery Convention 20 years ago, and the impact it has had on companies’ attitudes towards compliance. LN: What has the Anti-Bribery Convention achieved in the last 20 years? PM: The Convention has had a clear impact on legislation and institutions globally. The scope of the Convention is focused on targeting the bribery of foreign public officials. When the Convention was signed in 1997, foreign bribery was only an offence in the US—other countries did not have this legislation on their books. Now, foreign bribery is of course prohibited in the 43 states who have signed the Convention. But the Convention has had an impact beyond transnational bribery. When countries change their laws to challenge foreign bribery, it has a much wider effect. For example, when countries improve their legislation for holding companies liable for foreign bribery, in fact this also changes the law for domestic corruption and other financial crimes. It is our ongoing monitoring programme of individual countries’ anti-bribery work that triggers these reforms. LN: What other areas have been affected by the Convention? PM: A good example is whistle-blower protection. In 2009, the OECD adopted a recommendation that countries should improve their domestic legislation to protect whistleblowers when they report allegations of foreign bribery. When countries introduce this kind of legislation, it usually does not just cover foreign bribery but whistleblowing protection in a much broader sense. So as we add more guidance to the Convention, and give advice to countries, it has a very significant impact on legislation to fight corruption and other financial crimes. LN: Where is there still work to be done? PM: There are still not enough concluded foreign bribery cases. Half of the 43 states under the convention still do not have a single conviction for the bribery of foreign public officials. Of course in the US there are many sanctions, convictions and settlements, which some countries like Germany are following, but it is worrying that the enforcement results are not at the level we would expected. This is a big challenge for members of the Convention. China, India, Indonesia and Saudi Arabia have not signed it. This hampers the objective of the Convention. LN: How does bringing 43 countries together under one Convention benefit the global fight against corruption? PM: We have signed up the 35 OECD countries and eight non-OECD members, and there are major countries we still want to get to sign the Convention. Over time, meetings and gatherings of law enforcement officials from these countries have become more frequent, and anti-corruption prosecutors worldwide are getting to know each other. This is very important because it leads to more effective international cooperation and mutual legal assistance. Twice a year, prosecutors, police, magistrates and judges from different countries meet. They discuss challenges they have when prosecuting cases of foreign bribery. So we have made significant progress in the development of law enforcement capacity. LN: Has the Convention had any effect on companies? PM: The Convention is mostly about criminal law prosecutions and investigations; there is little or nothing about compliance and how companies will need to adapt behaviour. It took until 2009 for the OECD to adopt a recommendation which contained a good practice guide for companies on the main headlines or items that should be included in any compliance programme. But what is interesting is that the business sector had not waited until 2009 to make significant changes to the way it approaches corruption. The main change has been the development of initiatives in the area of compliance. This means the development of internal programmes, training, ethics and codes in companies or business organisations. Today we are living in a new era of compliance which is a direct consequence of the Anti-Bribery Convention. Of course, not all companies are compliant, otherwise there would be no bribery. But the way most companies do business has changed a lot in 20 years - the establishment, definition and application of compliance has been a revolution. LN: What changes have you noticed in how businesses approach anti-corruption in the last 20 years? PM: Companies are really moving in the right direction on compliance, putting in place internal programmes which are robust on paper. But sometimes the programmes are treated like a box-ticking exercise, and the measures are only superficial so it is really important that companies create a real and substantial culture of compliance. LN: What are the main trends in the field of anti-corruption at the moment? PM: The four main trends are the development of negotiated settlements, a rise in companies voluntarily disclosing corruption, greater whistle-blower protection and increasing mutual legal assistance between countries. The development of negotiated settlements has become widespread practice; our 2014 report on foreign bribery showed that in 69% of cases where a company was sanctioned for foreign bribery cases offences, it was resolved with a negotiated settlement. Deferred Prosecution Agreements are mostly used in the US but several other countries have developed similar systems. Yet at the international level, there are still no guidelines on negotiated settlements, so we will study this trend in more detail. LN: Can you identify any emerging future trends in anti-bribery and corruption? PM: I think right now, and in the future we will need to reflect on digital corruption and digital enforcement. How you fight corruption and bribery with information technology is a very important topic for the future. LN: What about human rights? PM: Protecting human rights and fighting corruption are very much linked. The issue is more closely covered under the OECD’s guidelines for multinational enterprises, but it is something that the OECD Anti-Corruption Division always keep in mind in its monitoring work on the implementation of the Convention. LN: What about beneficial ownership? PM: There is still a lot of work to be done on beneficial ownership. It is an issue that the OECD and the FATF (Financial Action Task Force) have addressed in the areas of tax crime and money laundering. But it is also a key issue in the fight against bribery and corruption—if you do not know who the real owners of a company or any legal entity are, this can then lead to every kind of financial crime. LN: What role does the media have in tackling corruption? PM: The media has a fundamental role to play in fighting foreign bribery. On 12 December 2017, we published a significant cross-country study on the detection on foreign bribery, and one of the chapters is precisely about the role of investigative journalism in detecting corruption. The media is a prominent source of information about bribery and corruption allegations and most of the time it is useful and reliable. The results of enforcement would not be the same without the active work of the media and journalists. Investigations on corruption are often triggered with a press article. LN: What are your hopes for the Anti-Bribery Convention in 20 years’ time? PM: I hope the Convention will be even more pertinent, with major countries in Asia finally joining. We would like China and India to join at least, and maybe a few other countries in Asia. The Convention is already more global than the OECD membership because it includes countries such as Argentina, Brazil, South Africa, Russia and Colombia, but it has not reached Asia, with the exception of Japan and Korea. This is a big issue given the importance of Asia’s economy in the world. Asia is also the only region in the world which has not introduced an anti-corruption treaty or convention. There are conventions for American states, in Europe, in the African Union, but not in Asia. It’s also important to maintain strong global standards against bribery and corruption and adapted to the world of today. Finally, I hope that the level enforcement of anti-foreign bribery laws will further increase, i.e. that all state parties will have at least one conviction for foreign bribery and that the number of concluded cases with convictions will have at least doubled.